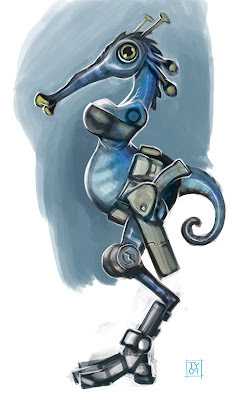 GinSoaked | the webbyspace of ty carey: Alien ... Seahorse? "bounty huntress" - so they be seahorse breasts then? Love the rendition of this creature! You know you love seahorse breasts. She's going to be bootyfull, and a little whimsical.